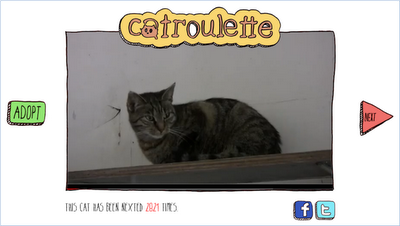 Catroulette is based on the infamous Chatroulette! Cat Roulette - 'Next' or 'Adopt'? I haven't reconciled Cat Roulette in my head yet though - is it cool or cruel?